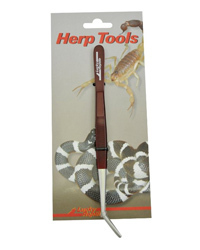 Tweezers are excellent for feeding reptiles and for handling scorpions, tarantulas and smaller lizards and snakes. They are made of stainless steel and are very robust. Excellent for all these people that like to keep a distance to the animals. I hated having to hold bugs when hand feeding my bearded dragon but I didn't want to stop hand feeding. Found these online and they are brilliant. I can now hand feed without all having to touch the bugs.